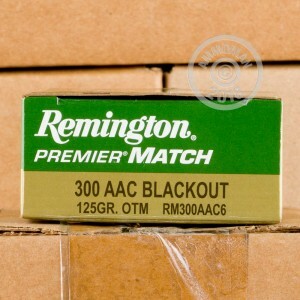 Remington Premier Match is the brand to turn to when you need your ammo to be as accurate as you are. 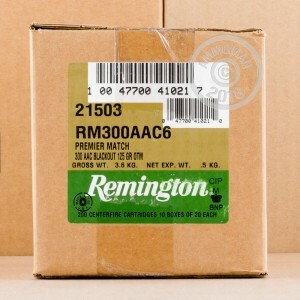 This .300 AAC Blackout ammo is designed for AR-15s with the appropriate upper assembly and fires a 125 grain open tip match bullet at 2,200 feet per second (obviously a supersonic muzzle velocity, unlike some .300 AAC loads). 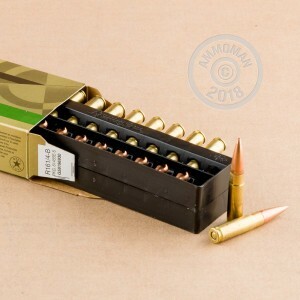 The .300 AAC round is the product of some of the sharpest minds in the shooting field including Advanced Armament Corporation and military experts from the US special forces community. It is designed with existing AR-15 pattern rifles in mind and generally requires only a barrel change in an existing .223/5.56 rifle.